The Chilaw Magistrate’s Court today issued a warrant for the arrest of UPFA MP Sanath Nishantha Perera and to produce him before the court. 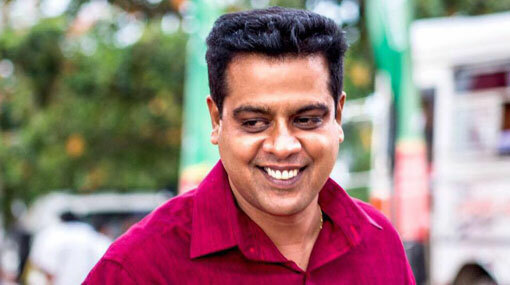 Chilaw Magistrate and District Judge Manjula Ratnayake issued the warrant order today (7) due to the MP failing to appear before the court when a case filed against him over an incident of harassment and intimidation. Meanwhile the Parliamentarian and his brother Arachchikattuwa Pradeshiya Sabha member Jagath Samantha Perera had appeared before the Chilaw High Court yesterday for a case being heard against them and the case was postponed until August 24 by the Registrar Ajith Nihal Jayasinghe deu to the High Court Judge being absent. The Puttalam District MP and his brother are charged over the assault and obstructing the duties of the then Arachchikattuwa Divisional Secretary Danasena Soorasinghe on November 24, 2008.